This is one of my favourite trees in Allen Gardens, a park I get to walk through regularly as its located steps from my home. 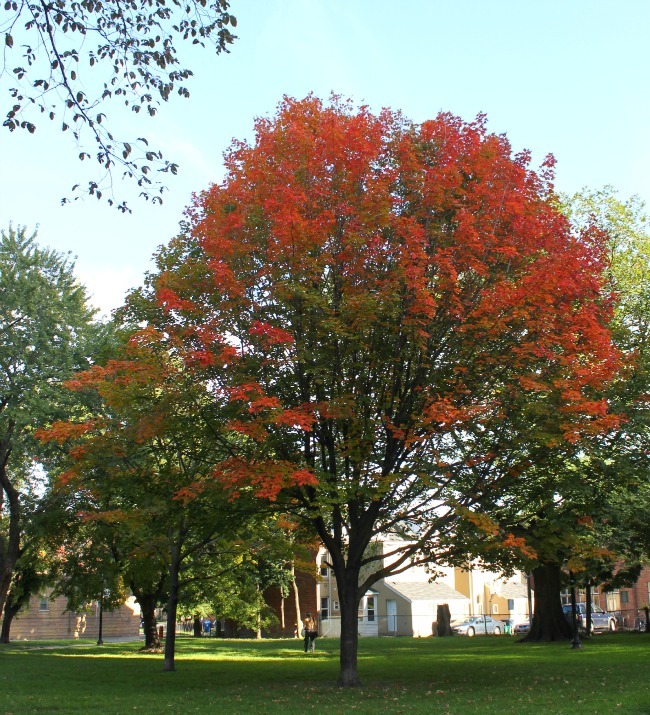 This tree seems to get Mother Nature’s memo about Fall before its colleagues, and slowly transforms its leaves from green to unique shades of yellow, orange and red. It reminds me of a book I worked on long ago – Meetings with Remarkable Trees by Thomas Packenham. where the author celebrated the old growth trees and all their particularly amazing traits. Packenham`s book was a celebration of the glory of trees`beauty and for someone who grew up in the old growth forest, it was a photo love story to trees. 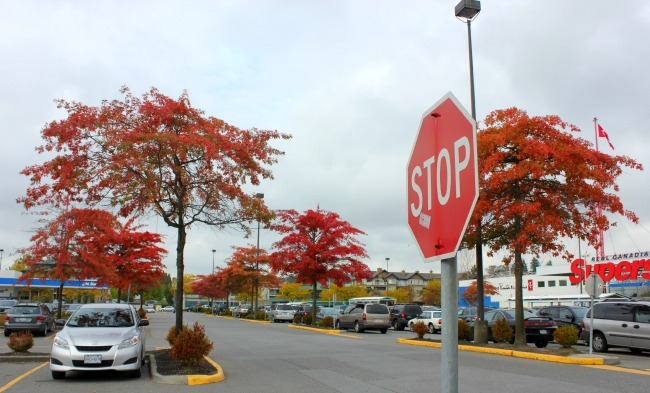 When I came west to Vancouver, a place I always associate with trees, the autumn leaves were on display too – even at the parking lot of the grocery store. Mother Nature had outdone herself, showing how she can still impress us mere mortals with her seasonal skills. 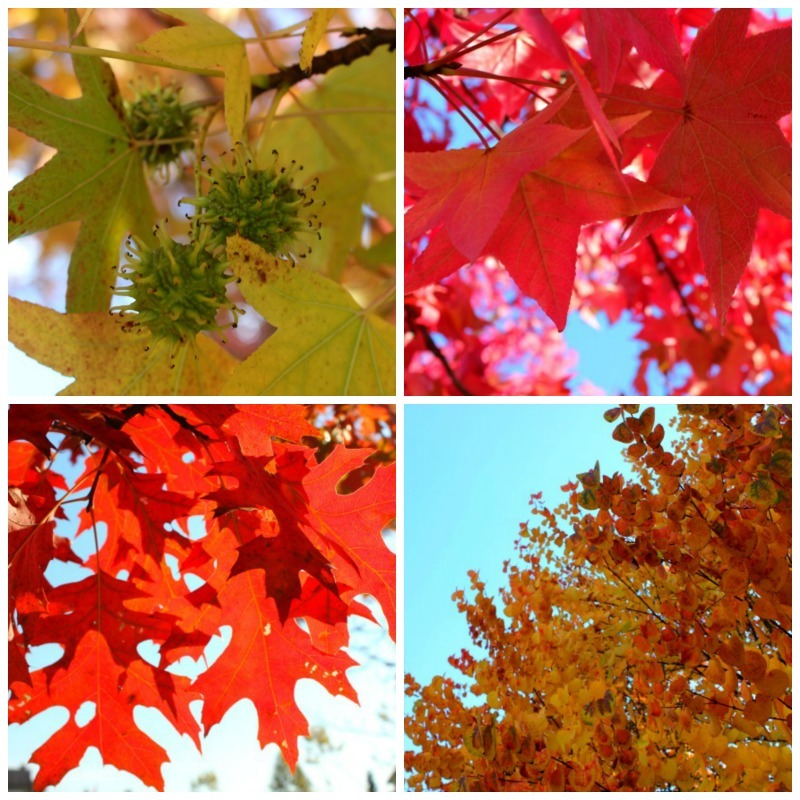 Although it does signal the end of warm weather and the soon to arrive winter, the change of leaves is one of my favourite times of year – and the change of seasons, especially from summer to autumn, is something that everyone should get to witness once in Canada.